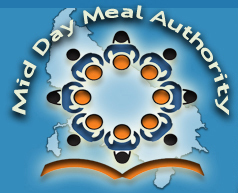 To make available nutritious food to children enrolled in Class 1-8 in schools (Govt, Local Body,Govt Aided schools,Govt Aided Maqtab & Madarsas, AIE centers and NCLP schools). To develop the grasping prowess of children by improving the nutrition level. To enhance the enrollment of children in schools. To develop the tendency to stay in schools in the children especially during interval and to reduce the drop-out rate. To develop the feelings of brotherhood and to develop positive outlook through combined fooding for the children belonging to different religions and castes.